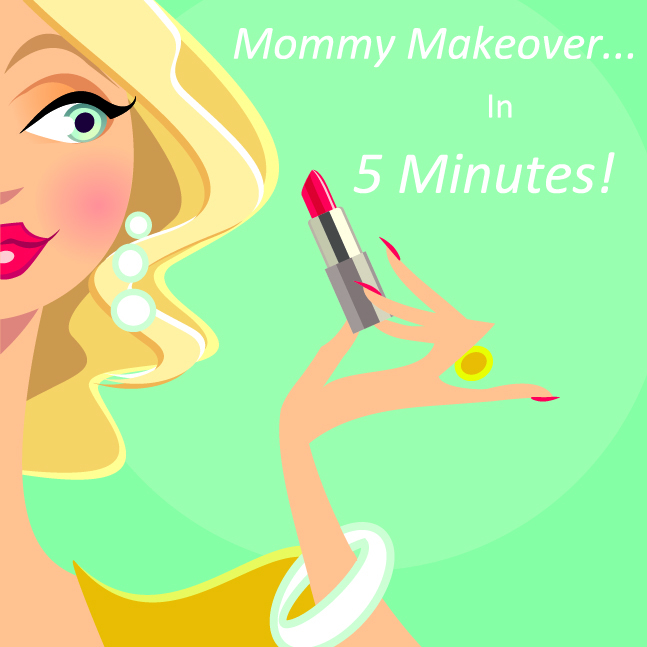 Mommy Makeover in 5 Minutes! No time for a facelift or a daily gym routine? These 5 easy ideas will help you get in top shape in no time! The first 3-step facial to get you flawless skin for your big event. A soothing scrub is applied to rid the skin of all impurities in preparation for the first step. A Microdermabrasion treatment stimulates collagen production, while removing dead skin cells and preparing for the Power Peptide Mask. The Power Peptide Mask helps to temporarily balance the skin tone and hide red spots, ideal for same-day appearances or photo shoots. The Oxygen Treatment is the final step. Loaded with essential vitamins and amino acids, the Oxygen Treatment fills in and refines your pores, helps to reduce dark under-eye circles and gives you an all around gorgeous glow. This treatment should be performed the day of your event, or whenever your feeling lackluster and need a boost. Tired of spending hours in front of the mirror every morning? Get a solution that lasts. We offer a non-surgical procedure known as micro-pigmentation. This restores pigment balance lost with age and offers an alternative to heavy makeup that can add years to your face. Ingredients contain organic and mineral colors that are gently deposited into the dermal layer of the skin to enhance, contour and outline facial features. Color stays true because ingredients do not contain iron, which often oxidizes and changes color. Services include; eyeliner, eyebrows, complete lips, scar coverage, and medical micro-pigmentation after reconstructive surgery. Results last up to 4 years. Services include 2 touch-ups within the first two months. Our Slim Wear is specially designed to take off inches immediately with the use of scientifically formulated compression technology. The Body Sculpting Capri has been clinically proven to reduce the appearance of cellulite, improve lymphatic drainage and instantly slim you down one size. Anti-microbial fabric allows for your skin to breath with comfort and easily flexes with the contours and movement of your body. Layered over our Body Sculpting Serum & Crème, you will get double the impact on the fight against cellulite and give you the extra advantage in achieving the body you work so hard for. The Body Sculpting Bra firms your breasts while giving them the support they need during workout, sleep or everyday. A perfect sleeping bra for those with breast augmentation to maintain the shape for years to come. Whether you have natural breasts or have an enhanced bust line, you will benefit from the beauty of this power bra. Botox and filler are an amazing, non-invasive method to reduce wrinkles, signs of aging and can be used as a prevention tool as well. Click HERE to read my blog about everything you need to know about fillers and injectables. Permanent eyelash curling involves the use of a perming solution and a thin roller. The lashes are treated with the curling solution and then rolled back over the roller. After the perm sets, the lashes remain curled for two to three months. The lash curl will last even after showering and swimming. This easy treatment can replace mascara, as the perm performs the same function, however you won’t have to worry about the running, smearing, and smudging that can result from wearing mascara.